Reserve your Seat Now! Click on the "Buy Now" Button Below. Inu a Pena is a unique experience for folks ages 18+ to experience aloha ʻāina in Hāmākua through art. 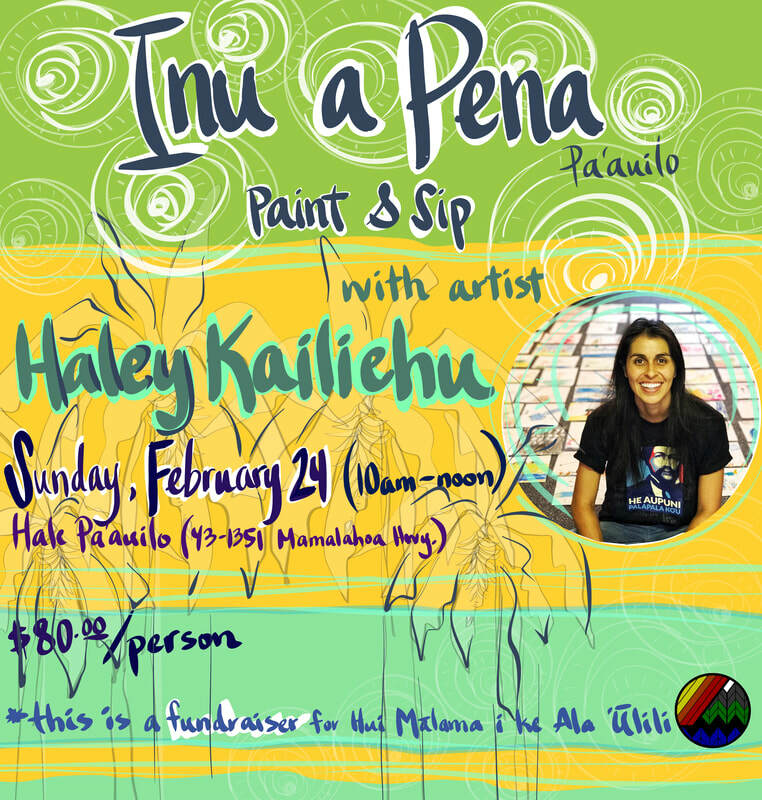 Hui Mālama i ke Ala ʻŪlili (huiMAU) leader & artist in residence, Haley Kailiehu, will be guiding participants in creating their own acrylic painting, reflecting the rich cultural landscape around them. The composition will be grounded in the moʻolelo ʻāina of Paʻauilo. This is an introductory art class for art enthusiasts, artists-at-heart and those seeking to learn the basic skills of watercolor painting. No experience necessary. ​All art supplies will be provided by huiMAU. Brunch will also be provided, and will include a variety of dishes made with food grown in our community gardens. Complementary mimosas will be available. ​All proceeds from “Inu a Pena” will go directly to support huiMAU and the educational programs we provide for the keiki and community of Hāmākua. The event will be held in Hale Paʻauilo (43-1351 Mamalahoa Hwy., Paauilo HI 96776. Please park at Paʻauilo Post Office parking lot and journey over to Hale Paʻauilo. MAHALO!